Happy New Year everyone! We thought it might be nice to share some information about Champagne and Sparkling Wine, and super-easy, festive cocktail recipes you can make to share with friends and family. 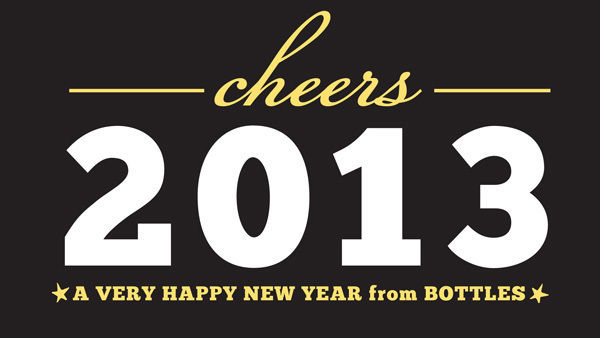 As your local wine store here in Providence, Bottles is here to help you find what you need for New Years! From beer that drinks like Champagne, to a huge range of cold bubbly, and to very large bottles of liquor, we’ve got you covered! There’s no better way to celebrate than with a bottle of bubbly. Whether it is Cava from Spain, a Prosecco from Italy, or a Champagne from France, nothing else quites says a celebration like a bottle of sparkling wine. Sparkling Wine types can be confusing; depending on where the wine comes from determines the name. For instance, Champagne comes from a specific region in France, and only wines that are made in Champagne can be called Champagne. Prosecco is from northeast Italy, and is generally fresh, light, and has a lovely effervescence. If you are throwing a party and want the Champagne pop minus the Champagne price, try Prosecco. It pairs wonderfully with cheese plates, fruit plates, appetizers, chips & dip, and more. 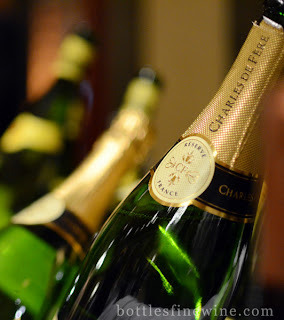 A great value sparkling wine is Charles de Fere, which pairs with almost anything, and especially party foods such as dips, snacks, and cheese. If you need more help, feel free to stop by the store or contact us! and even better paired with specialty liqueurs. 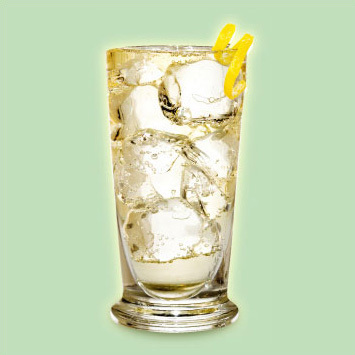 SPARKLING WINE + ST. GERMAIN Enjoy St. Germain, a lovely Elderflower liqueur, with Sparkling Wine. 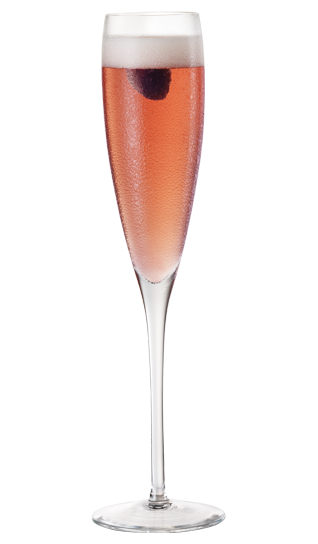 Pour 1/2 part St. Germain and top with Brut Champagne, Dry Sparkling Wine or Brut Rosé. Float half a strawberry as a garnish. CHAMBORD + CHAMPAGNE Top off with 1/4 oz of Chambord, a black raspberry liqueur. Garnish with a raspberry. BELLINI COCKTAIL Match with Stirrings Peach Bellini Mix. A cocktail classic, combine 1 oz. 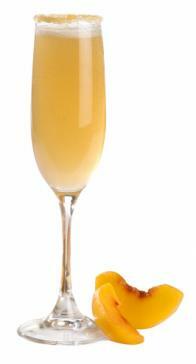 of Stirrings Bellini Mix with 3oz. of Prosecco. We have a huge selection of sparkling wines from all over the world, both out warm on the shelves, and also cold bottles in our coolers. This entry was posted in Cocktails, Party Ideas and tagged bubbly, champagne, cocktails, easy, ideas, new years, recipes, sparkling wine on December 26, 2012 by bottlesfinewine.